Ahh, the life of a brewing scientist. Pictured above is Grape vs. 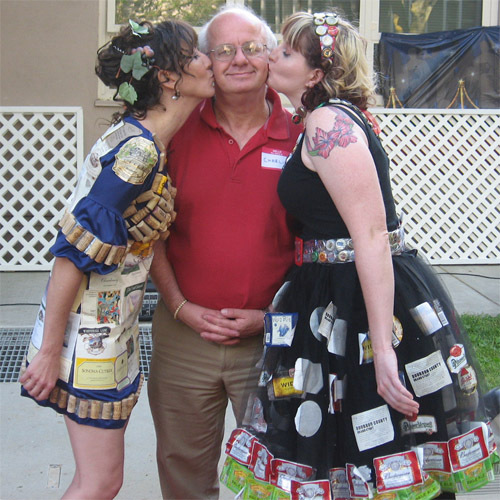 Grain author Charles Bamforth at a food-fashion-themed cookout. Well, look which beverages were happy to pose in the picture! It just… it begs for a caption contest. Comment something witty below! The winner gets a copy of the book and a stack of five (5) Grape vs. Grain coasters.